Although it was previously looking like we wouldn’t see any of Intel’s 9th-generation processors until early on in 2019, a new leaked document has revealed that part of the family may be seeing light of day on October 1, 2018. 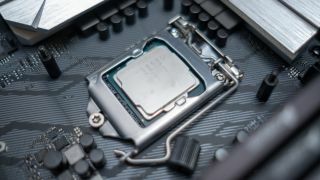 Sources close to Wccftech have reported that three of Intel’s flagship desktop processors in the 9000 series will land on October 1, with the remainder of the family being released in the first quarter of 2019. Among the three CPUs is Intel’s first mainstream desktop Core i9 release, as well as the first octa-core with 16 threads, but it wasn’t just the three aforementioned processors that the document exposed. The clock speeds, cache size and thermal design power (TDP) of the entire 9th-gen family was also revealed in the leaked document, as well as approximate pricing for the three flagships. While all of this information is technically still a rumor, the mounting evidence seems to support this timeline. While you hang in there for Intel’s next generation of CPUs to launch, make sure to stay tuned to our Intel Coffee Lake page for all the latest news, rumors, and leaks.